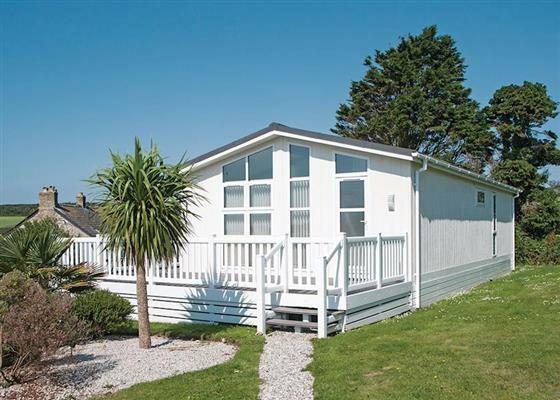 Praa Sands Holiday Park in Penzance sleeps between 4 and 6 people, with the accommodation being caravans and lodges. 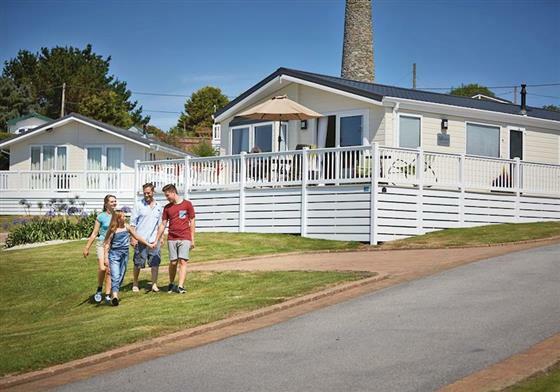 Within walking distance of one of Cornwall’s finest sandy beaches, this exciting development is the perfect retreat for families and couples looking for something extra special. 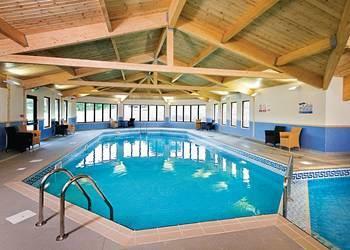 Enjoy the indoor heated pool, gym, bar with terrace, sea views and restaurant plus the superb 9 hole golf course. Take time to explore the numerous tourist attractions on your doorstep including Land’s End, Mousehole and St Michael’s Mount. 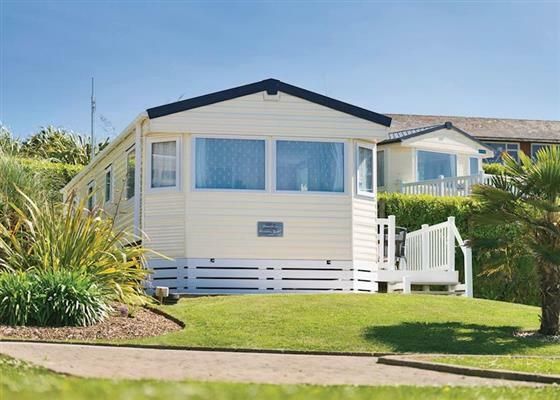 If you want to find out what other people have said about Praa Sands Holiday Park, read the reviews on Praa Sands Holiday Park for more information. And, for those last minute bargains, have a look at some of the special offers available at Praa Sands Holiday Park. Modern caravan with one double and one twin. Garden furniture. Cot in lounge area. No pets. Modern caravan with open plan living area. One double and one twin. Decking with garden furniture. 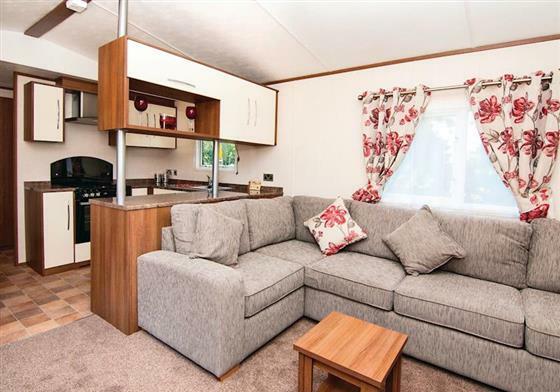 "Top of the range, spacious and luxurious caravan with one master double and one twin. Bath with overhead shower. Open plan living area with free standing furniture. Modern and contemporary fully fitted kitchen and dining area. Decking area with garden furniture, perfect for outdoor dining and entertaining. Outdoor hot tub. Adjacent parking." Contemporary new style holiday home with excellent design detail with one double and one twin. Shower. Well equipped kitchen/dining area. Decking with furniture. Outdoor hot tub. Top of the range contemporary caravan with one double and one twin. Decking. Fridge/freezer. Cot in lounge area only. Comfortable caravan with one double and one twin. Cot in lounge only. Superior quality lodge with one double with ensuite shower and one twin. Open plan lounge/diner/kitchen. Family bathroom. Decking with garden furniture. Modern caravan with one double and two twin. Open plan living area. Decking with garden furniture. No pets. Top of the range contemporary caravan with one double and two twin. Decking. Fridge/freezer. Shower. Cot in lounge only. "A beautiful renovated tin-mining Cornish cottage with sea views overlooking Praa Sands Bay. Sleeps up to 8, with period details, inglenook fireplace, very well-appointed kitchen together with a separate dining room seating 8 and quiet snug area. 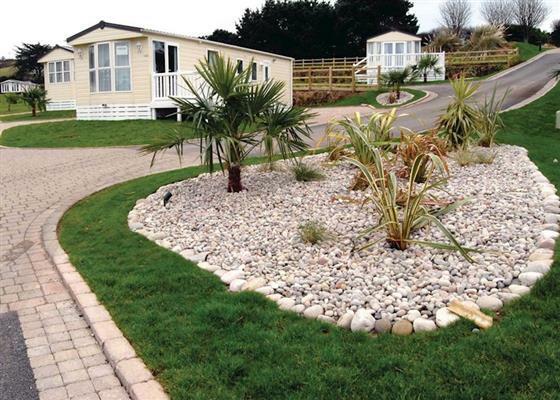 Full access to all the facilities of Praa Sands Holiday Park included. Patio area with furniture and outdoor hot tub perfect for outdoor dining and entertaining. Private parking." 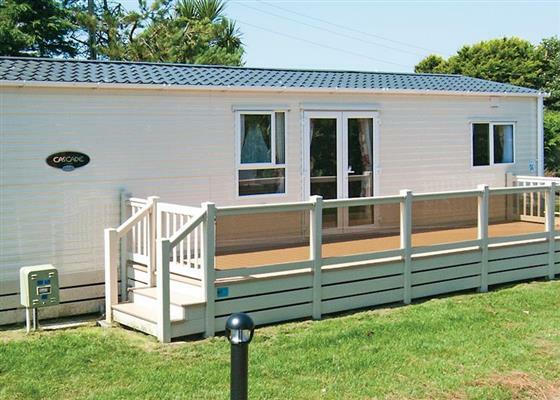 Find out about Praa Sands Holiday Park, including prices and availability. 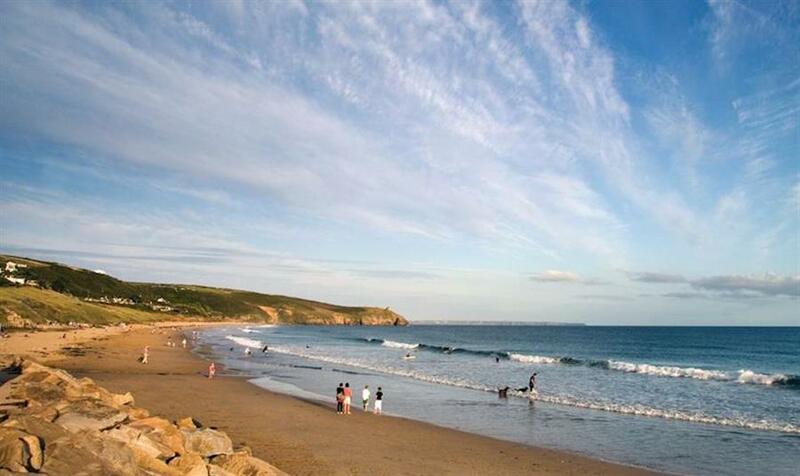 There are 51 holiday parks within 5 miles of Praa Sands Holiday Park. Lower Margate in Bodmin, Cornwall, and sleeps 10 people. 40 miles. Bay Cottage in Newquay, Cornwall. 25 miles. Bannisters in St. Agnes, Cornwall, and sleeps 4 people. 16 miles. The Cabin in Port Isaac, Cornwall, and sleeps 2 people. 42 miles. Chy-An-Eglos in Wadebridge, Cornwall, and sleeps 2 people. 40 miles. Fishermans Cottage in Mevagissey, Cornwall, and sleeps 4 people. 29 miles. Alskai in Pendeen, Cornwall, and sleeps 4 people. 13 miles. Trethiggey Farmhouse in Newquay, Cornwall. 26 miles. Starfish Cottage in St Ives, Cornwall, and sleeps 4 people. 9 miles. Little Pengarrock in Helston, Cornwall, and sleeps 6 people. 14 miles. Haven Cottage in Port Isaac, Cornwall, and sleeps 4 people. 42 miles. The Mowhay in Redruth, Cornwall, and sleeps 4 people. 11 miles. Higher Thorne Cottage in Bodmin, Cornwall, and sleeps 8 people. 44 miles. Smugglers Cottage in Pendeen, Cornwall, and sleeps 2 people. 13 miles. The Boat Watch in Penzance, Cornwall, and sleeps 4 people. 7 miles. Little Acre in Porthtowan, Cornwall, and sleeps 6 people. 14 miles. The Little Blue House in Penzance, Cornwall, and sleeps 5 people. 7 miles. Driftwood Cottage in Falmouth, Cornwall, and sleeps 5 people. 13 miles. The Strand in Penzance, Cornwall. 7 miles. Wenford Hall in St Breward, Cornwall, and sleeps 10 people. 43 miles. The Blacksmiths Shop in Bodmin, Cornwall, and sleeps 2 people. 36 miles. Hollywell Barn in Liskeard, Cornwall, and sleeps 6 people. 49 miles. Cobesta House in Falmouth, Cornwall, and sleeps 12 people. 15 miles. Trevalley in Pendoggett, Cornwall, and sleeps 6 people. 42 miles. The Bunker in Sennen, Cornwall, and sleeps 6 people. 13 miles. Chy An Huder in Cury, Lizard Point, and sleeps 12 people. 8 miles. The Old Vicarage in Penzance, Cornwall, and sleeps 10 people. 1 miles. White Shores in Praa Sands, Cornwall, and sleeps 11 people. 0 miles. Lower Trembath in Buryas Bridge, Cornwall, and sleeps 10 people. 8 miles. Belle Rives in Newquay, Cornwall, and sleeps 10 people. 25 miles. 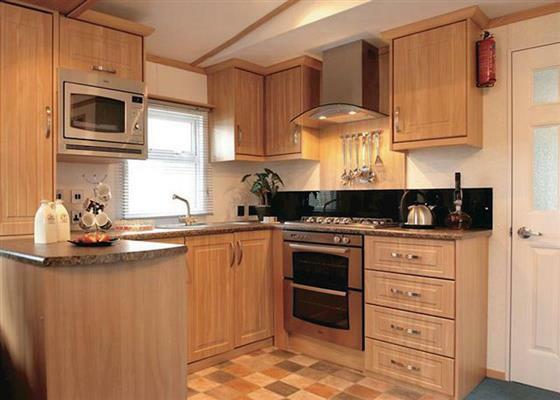 Lowena in Tregonetha, Cornwall, and sleeps 6 people. 32 miles. Fiddlers Green in St Mawes, Cornwall, and sleeps 12 people. 16 miles. 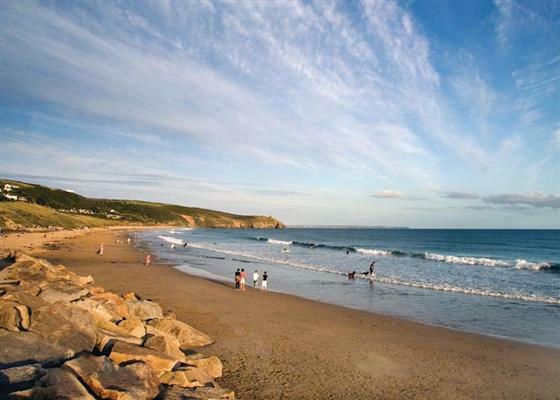 Blue Seas in Mawgan Porth, Cornwall, and sleeps 11 people. 29 miles. Fistral Lookout in Newquay, Cornwall, and sleeps 4 people. 25 miles. Cox Hill House in Chacewater, Cornwall, and sleeps 10 people. 14 miles. Old Farm House in Coverack Bridges, Cornwall, and sleeps 8 people. 6 miles.